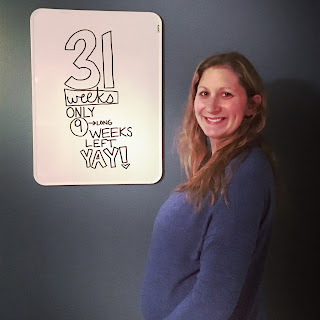 How far along: 31 weeks. Only 9 weeks left! Sleep: Been waking up a couple times a night to use the restroom, other than that not too bad. Best moment this week:Had an ultrasound Monday. I love seeing the little cutie! Anything making you queasy or sick? Walking by the raw meat at the supermarket. I still can't stand the smell! Gender: STILL don't know yet as baby didn't cooperate once again. I'm not sure if I will have another ultrasound before baby gets here or not so the gender may end up being a surprise. Symptoms: Low energy, swollen feet, and some pains here and there. Can't really complain though. Belly button in or out? Starting to pop out! Looking forward to: Thanksgiving and seeing my family. 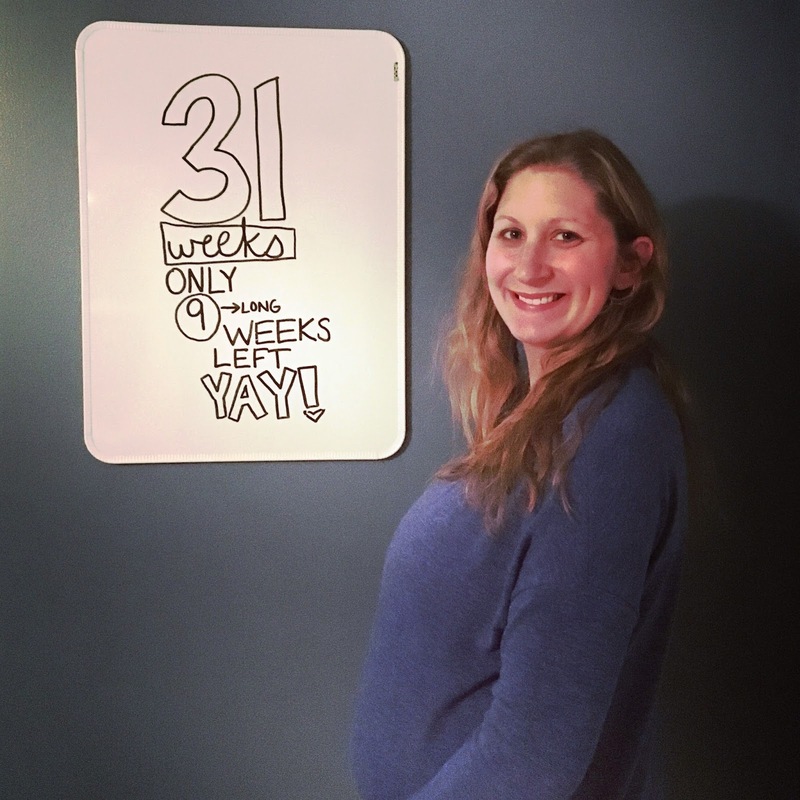 Here is 31 weeks with Harp! I had just celebrated my baby shower that day!